Arginine is a precursor to Nitric oxide (NO) and its production/bioavailability decreases with age. Additionally, many raw materials simply have a very low bioavailability , and only achieve around 10% or less absorption rates, even if the patient is in optimal health condition. Compromised health, age, or certain conditions that result in inability to take oral nutrients often preclude these patient populations from obtaining the necessary nutrition to stay health which often exacerbates chronic health issues. Zetpil™ deep penetrating creams, are a NOW solution to delivering the necessary nutrients to patients, on a daily basis, that is both easy and cost effective. The Zetpil™ Nitro Boost (Arginine) is truly a revolutionary product. It safely stimulates the production of Nitric Oxide (NO) and may enhance natural Growth Hormone production. 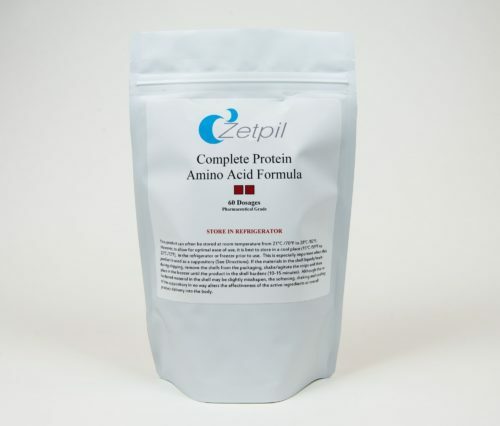 Currently, Zetpil™ is the only company in the world that has effectively formulated a product bypassing the issues of oral arginine supplementation. Arginine, and the subsequent production of nitric oxide, is extremely important in both skin and vascular health. However, because of arginine’s inability to be effective when taken orally, the benefits of arginine have been essentially non-existent. Until now! 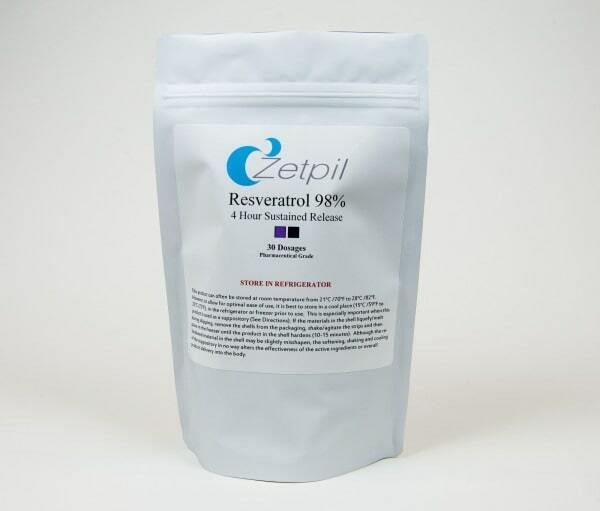 Zetpil™ realized the cosmetic and health-conscious consumer could benefit from a topical arginine product and therefore made a bold and unprecedented decision to look at an alternative delivery mode to capitalize on the skin anti-aging properties of arginine and subsequently developed its Nitro-Boost Cream. 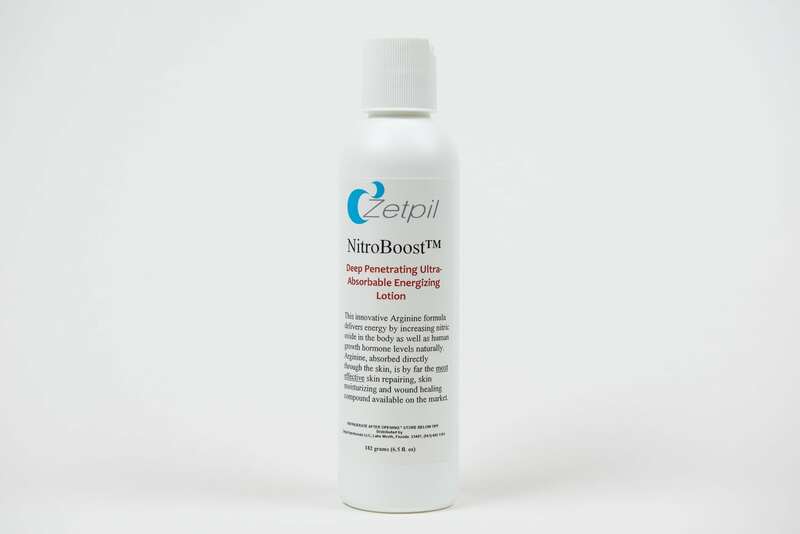 The Zetpil™ Nitro-Boost Cream is an extremely safe and effective facial & skin moisturizer and only 1 ½ tsp. daily will help to maintain healthy skin as well as endothelial health. 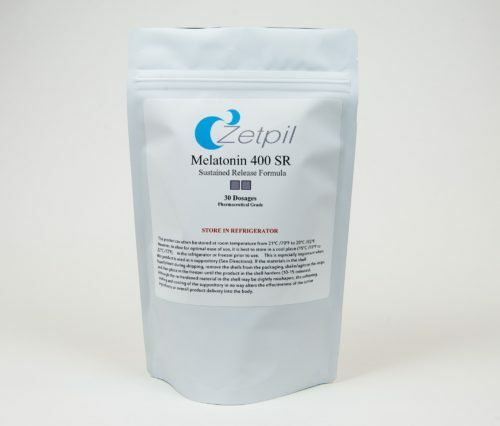 It is our recommendation that anyone supplementing with Zetpil™ Nitro-Boost also include Zetpil™ Melatonin 25 mgs TheraCream as part of their daily regimen. Arginine is a semi-essential amino acid and serves many functions in the body. One of its most beneficial actions is as a precursor to Nitric Oxide (NO). Nitric oxide is extremely beneficial and is required for normal functions like wound healing, retaining skin moisture, vasodilation (proper regulation of blood flow), protection from cardiovascular disease and neural activity. In fact, nitric oxide deficiency is one of the root causes of cardiovascular disease and contributes to endothelial dysfunction (problems within the blood vessels that damages function). Did you know that approximately 80-85% of orally ingested arginine undergoes degradation by the enzyme arginase? That means if one ingests 1 gram of arginine the body degrades that 1 gram and at best 150-200 mgs will survive and be available for the multiple biochemical pathways that utilize arginine and subsequently, nitric oxide. One of the primary functions of arginine is in the formation of endothelial Nitric Oxide Synthase (eNOS) that is so crucial to maintaining good vascular integrity, not only throughout your body but at the skin’s surface as well. 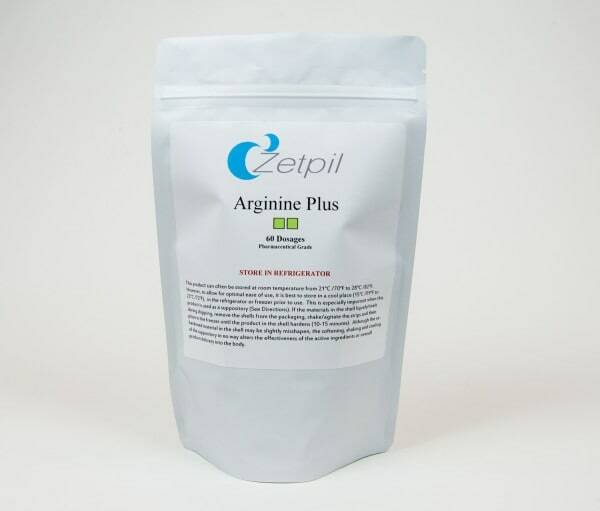 When arginine is orally ingested (ie: dietary or supplement form) the “protective” enzymes Arginase I and II, found in enterocytes (intestinal cells) and hepatocytes (liver cells), are activated in the portal vein and liver. When arginase is activated a “competition” sets up between 2 main competitors which want arginine available for Nitric Oxide production. These two competitors are eNOS and iNOS. There are 3 outcomes to this battle. Increasing arginase means ↑ iNOS which can be converted to extremely potent free radicals (Reactive Nitrogen Species-RNS). These free radicals are very dangerous and can cause significant damage to the body’s circulatory system. Oral arginine ↓ eNOS which is desirable and vital to the formation of nitric oxide. Nitric Oxide levels ↓: This is detrimental because appropriate levels of nitric oxide are crucial to maintaining vascular health, immune surveillance/function, skin health, and disease prevention. Simply put, orally ingested arginine actually compromises the formation of nitric oxide (NO) thus contributes to endothelial dysfunction and eventually cardiovascular disease. maintaining endothelial health (ie: vessel health, reduce plaque build-up) to decrease risk of cardiovascular disease. SERVING SIZE: 2.8 grams= 1 squeeze/squirt=½ teaspoon. Ingredients: Distilled water, sunflower oil, wheat germ oil, medium chain triglycerides oil, shea butter, rosemary oil extract, grapefruit oil, orange oil, potassium sorbate, a proprietary blend of niacinamide, creatine, arginine, manganese, pantothenic acid and folinic acid and a proprietary blend of L-arginine HCL, arginine orotate, arginine aspartate and malic acid. Directions: Spread 1-2 squeezes/squirts onto clean skin. For best results apply cream on neck, inner forearms or inner thighs. For those using this product as an athletic enhancing compound it is recommended that it be applied prior to workout. The product is also effective after the workout on the specific muscles trained as well as on areas of the skin throughout the day, or as directed by healthcare professional.